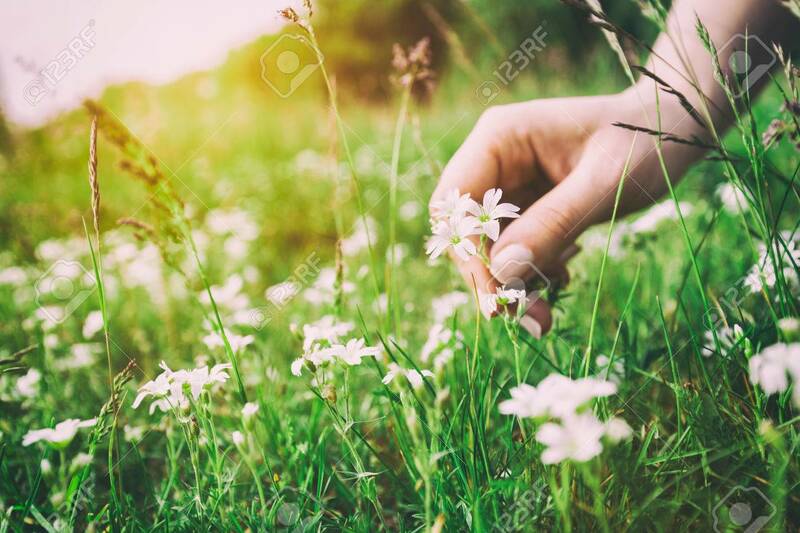 Woman Picking Up Flowers On A Meadow, Hand Close-up. Morning.. Stock Photo, Picture And Royalty Free Image. Image 61711236.